While the U.S. commercial nuclear power sector continues to suffer major contraction, the outlook in Canada is much brighter. Since October 2012, U.S. nuclear operators have announced they are closing more than 20 reactors at 16 plants. By contrast, Canadians are spending more than $25 billion to refurbish 10 nuclear reactors. Ontario Power Generation, owned by the government, is spending $12.8 billion to refurbish four reactors while privately owned Bruce Power is spending $13 billion on six reactors. These long-term projects will ensure non-emitting electricity for decades and are a strong near-term economic stimulant. These divergent trends are happening even though the two countries’ commercial nuclear power fundamentals are largely similar. —Canada receives 15 percent of its electricity from nuclear power compared with 20 percent for the United States. 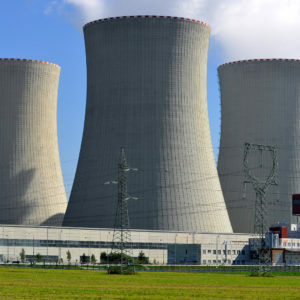 —Nuclear power has been a staple of both countries’ power supplies for decades. —While Canadian government policy seeks to reduce power plant emissions to meet the requirements of the Paris Climate Accord, so too do many states. —Both countries have abundant sources of low-cost natural gas, a potential replacement power. U.S. policymakers can learn three primary lessons from Canada on nuclear power policy. 1. See energy as infrastructure and invest for the long term. Power plants will continue to be integral to economic development and basic economic activity. In the United States, Illinois, New York and New Jersey have implemented programs to provide subsidies from ratepayers to keep plants operating. Proponents say the subsidies are justified as otherwise some or most of the replacement power would come from emitting power sources, increasing pollution and carbon emissions. Refurbishment, or the modernizing of plants, means plants will operate longer and ensure that the grid will have sufficient power. 2. Strengthen research and development on next generation technology. Primarily through the U.S. Department of Energy’s Idaho National Laboratory, the United States has been conducting research to develop extremely safe small modular reactors. Regarded as the next stage of nuclear reactor, these are about one-tenth the size of conventional reactors, which typically serve at least 500,000 households. As smaller, transportable units, SMRs hold the promise they will be widely used. While it is probably not surprising that the United States is supporting new research on the next generation of nuclear reactors, Canada, which has one-eighth our population, is also aggressively doing the same. The Canadians have three research reactors and two reactor designs under development based on the CANDU-6 reactors. The CANDU reactors were developed in Canada and are now in China, India and five other countries. 3. By being strong domestically, vast global opportunities are possible. With 50 reactors under construction worldwide, there are many opportunities for countries that service the nuclear power industries in Canada and the United States. By keeping the industries operating at home and investing in research and development, the manufacturers in the United States and Canada will be better positioned for growth. In the United States, a vibrant nuclear power industry is also essential as the country goes through the multi-year process of building new submarines and assesses the best sources for expanded space travel. Despite the industry’s contraction in the United States, there is promise in the future of nuclear power. The United States can and should learn from Canada’s success while also sharing information about developments and best practices on nuclear power. By working together, the United States and Canada will continue to maintain their worldwide leadership in this area.